A narrow, coastal region, one of the 4 historical areas of Croatia, mostly covered by rugged dinaric mountains – this is Dalmatian Coast. 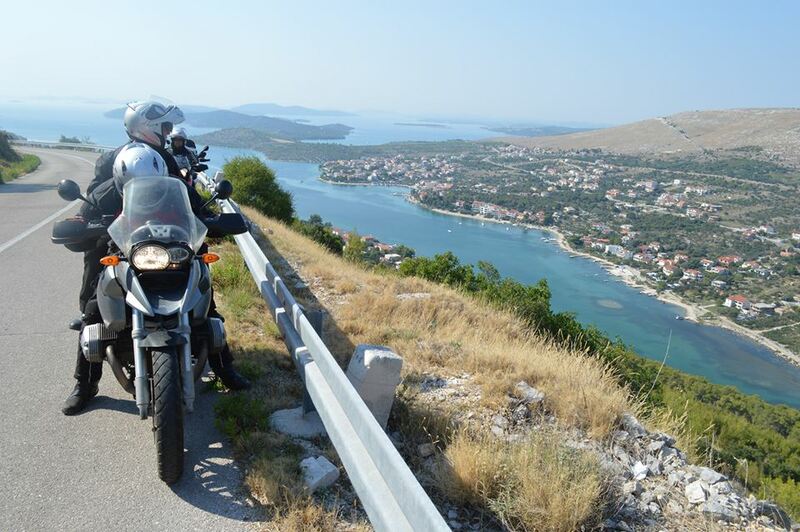 Riding it gives you great views over the Sea and some of the islands of the Adriatic Sea. This is our next destination. Start the day early, leaving the region of Plitvice Lakes. A bit foggy and chilly in the morning, however, as you approach the sea side you’ll want to get rid of most of your clothes. 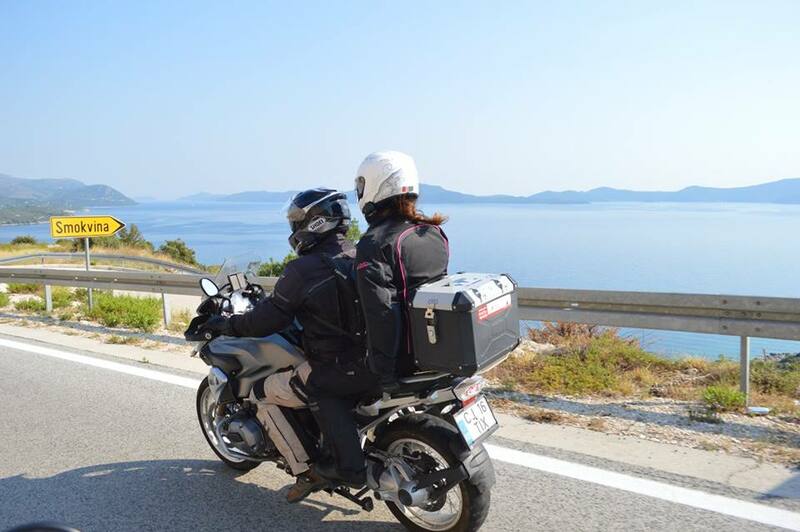 After a refreshing mountain ride we arrive in the city of Zadar right on the coast of the Adriatic.Enjoy a great coffee and some refreshments in a coffee shop overlooking the port. A nice walk to Zadar Nova Riva will show you a great old city with friendly people. Stop at the Riva of Zadar to listen to the Adriatic waves pushed by the Wind playing The Sea Organ (Morske Orgulije).The Sea Organ is the work of the architect Nikola Basic. The waves pushed by the wind under the marble steps of Nova Riva (The New city coast) interact with a system of pipes creating the music of the sea attracting tourists and locals alike to listen the music played by nature. Leave Zadar through the old city gate and continue your journey along Dalmatian Coast with a breeze in your face. The ride is filled with photo opportunities, so take your time and enjoy the scenery and the ride. Don't forget to stop forlunch in a traditional restaurant offering roasted lamb or roasted baby goat. Don't worry that you won't know which one serves such a meal. The restaurants roast the meat in special built grills placed right on the side of the street. You'll see it from afar and the smell and the view will force you to stop at some point. Mouthwatering. Arrive in the afternoon in the city of Split - the second largest city in Croatia. Accommodate in a cosy 4* hotel and be amazed by the ruins of the Roman Palace of the Emperor Diocletian. A relaxing afternoon on the Beach will revigorate you. Bacvice Beach is strongly recommended being the most popular sandy beach in the Eastern Part of the city. Don't be afraid to try the Split game of picigin. If you don't have a small ball you can try it using your go pro camera, it's just as fun, especially if it is recording. Next morning we are up and ready for a new round of great views of the Dalmatian Coast. Dubrovnik - the Pearl of the Adriatic is our next Destination, riding the Dalmatian Coast. Hotels: we recommend you accommodate in a 3* or 4* Hotel with private beach and views to the Sea. The Bus to the Old Town of Dubrovnik will only take a few minutes. 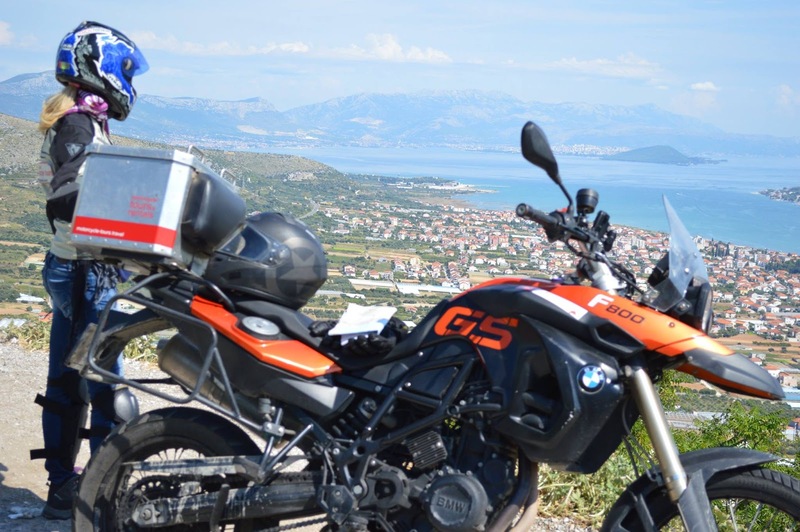 Motorbikes: bring your own motorcycle or a BMW motorcycle rental in Eastern Europe, the GS range is strongly recommended. Organized tour: deffinately recommended. A trip with no worries: where to park safely the motorbike over night, not knowing the language or how to get to the hotel? All prearanged. All you have to do is ride the 2 wheel marvel and enjoy the views. The only worry you'll have is that the time flies when you are having fun and the 18 day multi-country adventure in Eastern Europe will seem too short. 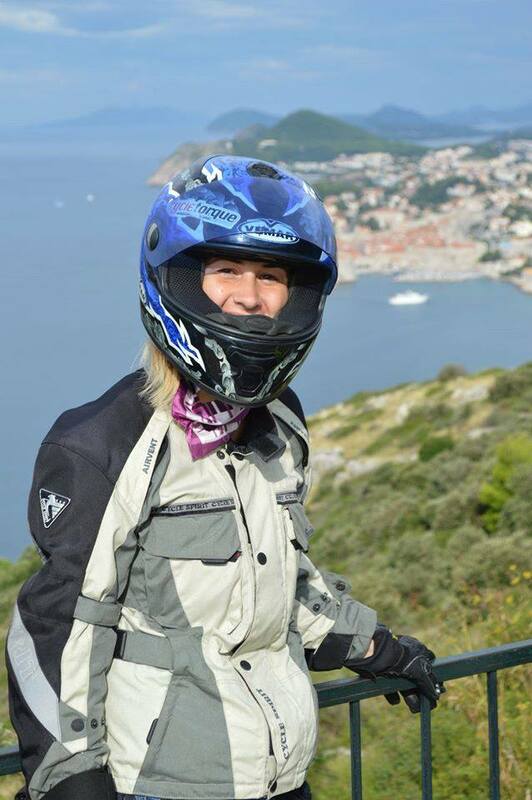 For such an adventure you can visit: Adventure Motorcycle Tours - Transylvania Live website. 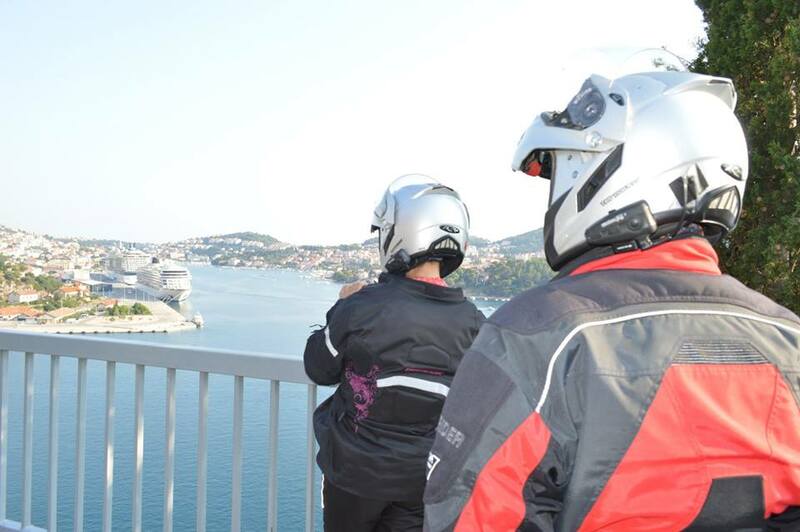 Ride safe and enjoy the adventure of Life!